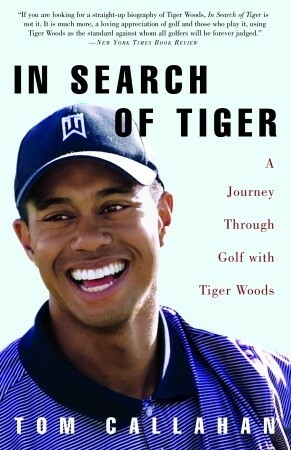 Tom Callahan has written the seminal book on golfing great Tiger Woods. Woods, who has gone out of his way to protect his privacy, has never allowed himself to get close enough to a writer to be properly examined on the page. Callahan, commonly regarded as one of the best all-round sports writers in the country, has followed Tiger around the world of golf for more than seven years, enjoying a certain access to the man and his family. He even went so far as to travel to Vietnam to learn the fate of the South Vietnamese soldier who was Earl Wood's best friend during the war - and his son's namesake. Tiger is twenty years old when the book opens and twenty-seven when it closes. During those years, Callahan covered Woods at all the Majors, including the Masters, the U.S. Open, and the British Open, culminating in Tiger's heart-stopping race to make history by clinching the string of Majors affectionately nicknamed the Tiger Slam. Along the way, Tom Callahan hears from everyone who is anyone in the world of Tiger Woods, including Phil Mickelson, Jack Nicklaus, David Duval, Butch Harmon, Ernie Els, and, of course, Tiger's rather ubiquitous mother and father. As much as we learn about Tiger - how he sees himself in relation to the courses he plays on and the players he has learned from and competed with - we also enjoy a bird's-eye view of golf as it is now with Tiger on the scene, and as it was for centuries before.